Deciding to buy a DSLR camera is serious business, for three very important reasons. First, you'll only realize the value of your purchase if you've also decided, or been inspired, to become a more serious photographer. Be sure that you're genuinely excited about learning and achieving more with a camera in your hands, even if you have no plans to become a professional. Second, you're about to make a serious commitment of hard-earned money, as even entry-level DSLRs will cost approximately $500 or more, mid-range models more than a thousand dollars and professional-grade DSLRs thousands of dollars. Be absolutely sure of your decision, so your DSLR doesn't spend most of its life in a dark closet like that set of golf clubs or the camping equipment or jet-skis forgotten in the garage. Third, don't be the type of consumer who buys certain products, or grades of products, simply to boost his or her ego and make his or her friends envious. That kind of one-upmanship only has limited value (if any). Instead, buy and use a DSLR camera to create a positive vibe in your life and to have the opportunity to express your artistic self. Plus, you'll become the kind of photographer that will make the PhotographyTalk community stronger and more dynamic. 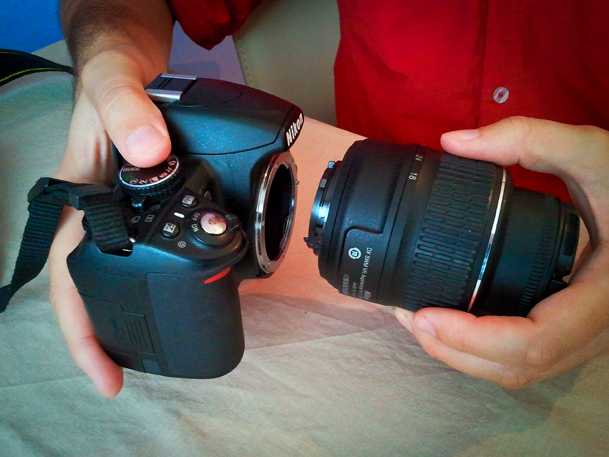 PhotographyTalk strongly urges that you also read its Digital Camera Lens Buying Guide before buying a DSLR camera. Both guides provide information that is critical to your buying decision. You may be like many casual photographers who have been taking pictures of family, friends, events and activities with a compact, or point-and-shoot, camera, or even a smartphone. You love the slim design, how easily it fits in your pocket or purse and its almost totally automatic functionality. Why would you want to exchange all that convenience for a bulkier, heavier and more complex camera? It won't fit in your pocket; and you'll need a separate camera bag. Although a DSLR has many of the auto features of a compact, you'll have to learn how to use a DSLR's advanced capabilities, understand various photography concepts more thoroughly and become more involved in the operation of the camera to benefit fully from having one. It's those advanced capabilities that go beyond what you can do with a compact camera, which is the first benefit of owning a DSLR. If you're truly inspired and committed to becoming a better photographer, then it's those capabilities that will make it possible. You'll be able to capture more creative images because the camera's advanced features produce excellent photos at the "fringes" of photography. What this means is that photographic creativity is not typically found in broad daylight, but when the light is low or your subject matter is moving quickly, such as wildlife or a racecar. The tiny world of flowers and insects and other macro photography subjects also exists outside the "normal" range of casual photography. The second benefit of owning a DSLR is that you're more likely to create your best photography when you use a camera that is designed better and built with higher quality parts and materials. Another benefit is a DSLR's capability to produce a higher quality image, revealing more detail, greater sharpness, more balanced contrast and richer colors. If you want to enlarge high-resolution images to 11 x 16 prints or larger, then a DSLR is the photographic tool for you. As explained in the PhotographyTalk Digital Camera Lens Buying Guide (and in many PhotographyTalk articles), choosing a DSLR is actually the third step in the camera/lens buying process. One of the biggest mistakes of new DSLR photographers is to be overwhelmed by the whiz-bang of a camera, thus buying it first, and then choosing a lens. That is totally backwards! Determine what kind of photography you are planning to shoot with your DSLR. Buy the lens or lenses that will allow you to capture the best photos possible of that photographic genre. Choose the DSLR that is compatible with the lens you plan to purchase. You can save yourself much money and many headaches when you enter the world of DSLR photography with these three steps, and in this order. The camera/lens combinations are almost endless, but if you're new to DSLR photography, then an entry-level model from Canon, Nikon or Sony will be compatible with virtually any lens choice you might make. If you want to take better casual photos than are possible with a compact camera, and still retain many of the auto functions, then your best choice is an entry-level DSLR that comes bundled with a "kit" lens. 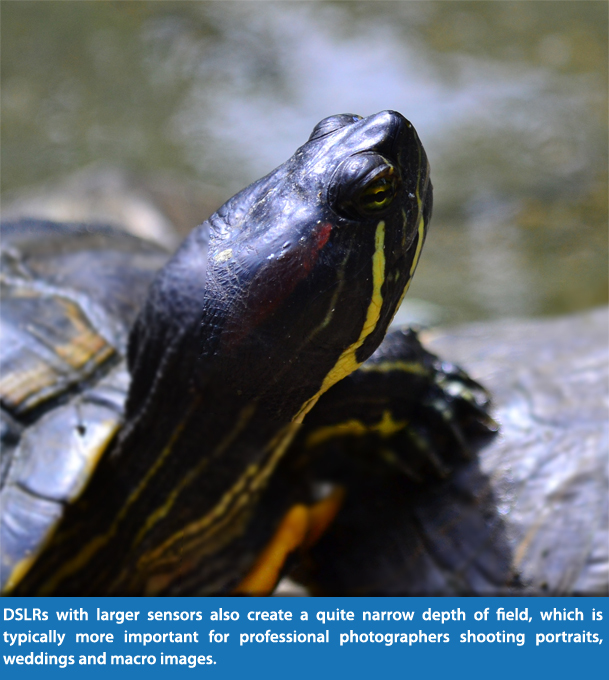 It is often 18–55mm, a good focal length range for casual DSLR photography. If your growing passion is sports or wildlife photography, then you'll need the appropriate lens (telephoto) and a DSLR with a continuous shooting mode that is faster than average. Since sports and wildlife subject matter is typically illuminated by strong sunlight, you don't need a DSLR with the largest sensor. If you want to photograph concerts or shoot during the "magic hours" of the day (sunrise, sunset and twilight), then you need a "fast" lens, or one with the largest aperture opening, and a DSLR with a higher ISO range. If you're excited to explore the world of macro photography, then you need a macro lens, which will work fine on an entry-level DSLR, but will work even better on a camera with Live View. You want to be able to see what the sensor sees, since you can quickly lose focus of a small object because you or it moved. DSLR is an acronym for "Digital Single Lens Reflex." Nikon is credited with inventing the first SLR camera, and introducing it to the world during 1959. The first SLRs were film cameras until Kodak launched the digital photography revolution during 1975. One year later, Canon's AE-1 digital camera was announced, with its semiconductor chip that could automatically control some camera settings. Nikon didn't enter the digital camera competition until 1982. 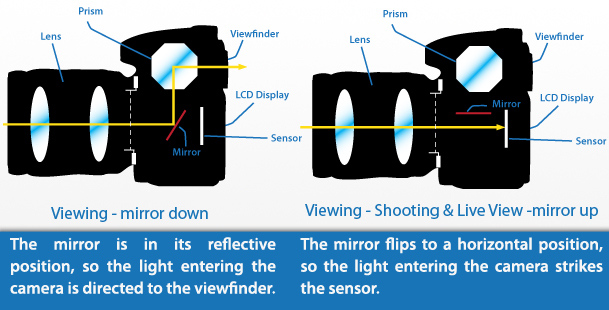 The SLR concept is based on a hinged mirror positioned just inside the camera body where the lens is mounted to the camera. The mirror reflects the light from your scene or subject to the camera's viewfinder, so you can compose your photo. When you are ready to take your picture, you press the shutter release button, which also triggers the mechanism that flips the mirror from the path of the light, so it may strike the sensor (or film) to record the image. One of the advanced capabilities of a DSLR camera that is possible with a hinged mirror is Live View. This provides you with a "live view" of your scene or subject, not as a reflection off the mirror to the viewfinder, but on the rear LCD screen directly from the sensor. Your choice of a DSLR camera will be one of three sizes, as determined by the size of its sensor. These are full frame, APS-C and Four-Thirds. This PhotographyTalk DSLR Camera Buying Guide explains the first two. Please refer to the separate PhotographyTalk Four-Thirds Camera Buying Guide to learn everything you need to know about this type of DSLR camera before you choose to buy one. As sensor technology has advanced at a rather rapid pace, sensor size continues to lose its importance for the majority of photographers as a factor when choosing a DSLR camera. Many new compact cameras have the same, or larger, sensors than DSLRs had just a few years ago. It's only the small minority of professional photographers who must actually take sensor size into consideration when buying a DSLR. The following chart compares the sensor size of Canon, Nikon and Sony DSLR cameras. The sensor in a full-frame DSLR is the same size, 24mm x 36mm, as the negative in traditional 35mm film photography. Full-frame DSLRs are typically the most expensive cameras. Professionals, or very serious amateurs, are more likely to choose a full-frame DSLR because its viewfinder provides a larger and brighter view of the scene or subject. The larger sensor in a full-frame DSLR is capable of capturing those creative images on the "fringes" of photography where the light is low and a higher ISO sensitivity is needed, without adding unacceptable digital noise. Another reason a longtime professional or amateur photographer may buy a full-frame DSLR is to continue to use the older lenses he or she already owns, as part of a 35mm film camera set-up. The camera manufacturers have also developed DSLR cameras with an APS-C sensor, which is an acronym for Advanced Photo System type-C. Most of the DSLR cameras on the market are APS-C. 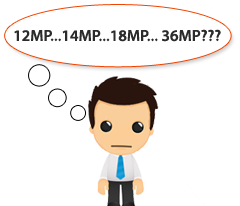 The sensor size is approximately 24mm x 16mm, or less than half of the 35mm negative. The smaller size of APS-C sensors are often described as having a "crop factor" in relation to a full-frame camera, which is 1.5x or 1.6x. DSLR cameras with APS-C size sensors are generally less costly and are marketed to hobbyists, enthusiasts and amateurs who want the professional experience, but don't need the higher image quality of full-frame cameras. 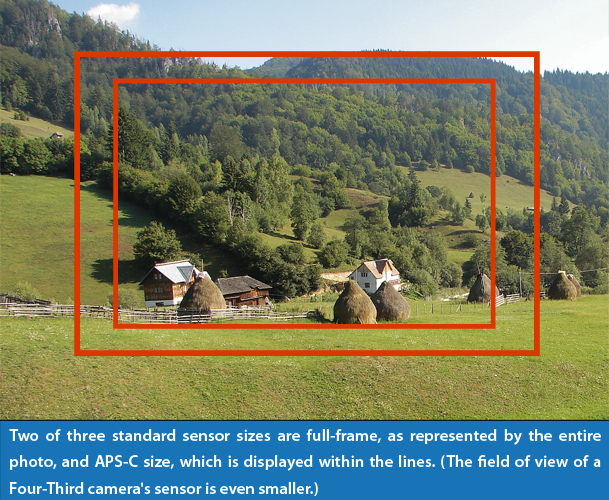 The photo below displays how the field of view of an APS-C sensor is smaller (or cropped) than a full-frame sensor. Not only is the field of view smaller, but also the subject within the cropped image appears as if it was shot with the longer focal length of a telephoto lens. The major camera manufacturers offer two sets of lenses: for full-frame cameras and APS-C cameras. Full-frame lenses are compatible with APS-C cameras, but APS-C lenses are not compatible with full-frame cameras. This is an important factor in your camera and lens buying decision, especially if you aspire to become a professional. If you buy an APS-C system of camera and lenses today, then you won't be able to use those lenses if you upgrade to a full-frame camera later. Image stabilization (IS) is another important factor in your consideration of which DSLR camera to purchase. IS systems help to compensate for camera shake or movement that may occur when handholding a large DSLR camera with a long telephoto lens attached. Camera movement can also cause a blurred image when you are shooting at a slow shutter speed during low-light conditions, even with a small DSLR body and lens. Before deciding which manufacturer's camera and lenses to buy, check whether the IS system is built into the body or lens. When a part of the camera's functions, the IS technology operates and benefits your photography with any lens you attach to your camera. Lenses with built-in IS systems will provide you with a clearer view of your subject when looking through the viewfinder. A word of caution: lenses that include an IS system tend to be more expensive than those without IS. 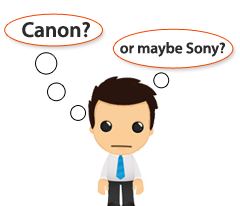 Of the major manufacturers, Canon, Nikon and Nikon typically put an IS system in their lenses, while Sony, Pentax and Olympus include them in their camera bodies. Choosing the right DSLR camera for you may also depend on its shooting speed. This is one of the first, and major, differences that many casual photographers "graduating" from compacts to DSLR notice immediately. Shooting speed is typically expressed in the camera's continuous shooting frame rate, which allows for the capture of X number of frames per second. 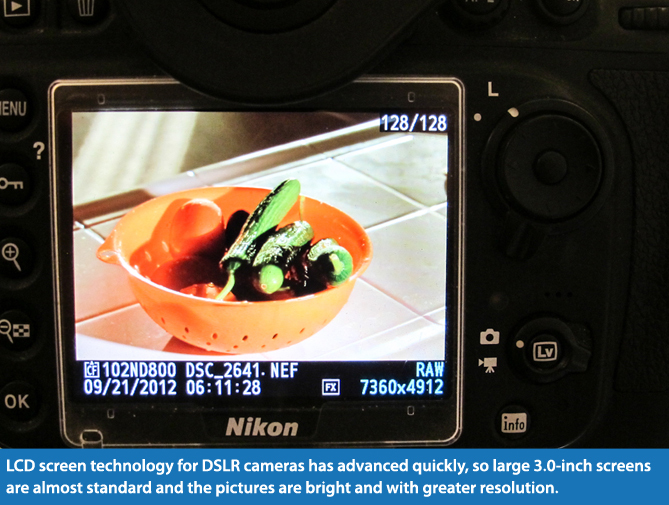 For example, Nikon's entry-level DSLR, the D3200, will shoot as many as 4 frames a second of full-resolution images. This is more than sufficient for casual photographers whose fast-moving subjects are typically kids and pets. If the photography genres that interest you the most are sports and wildlife, for example, then you'll need a DSLR with a faster continuous shooting rate. 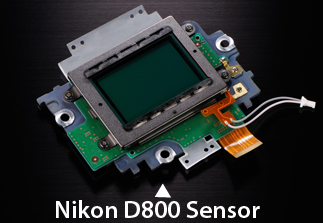 A mid-range DSLR, such as the Nikon D300S, is capable of as many as 7 frames per second, at full resolution. A top-of-the-line camera, such as the Canon EOS-1D X, offers a number of continuous shooting speeds, with 14 frames per second being the fastest. The 1D X is clearly a camera for professional sports and wildlife photographers; however, other high-end DSLRs may have much slower shooting speeds because those cameras are designed for portrait or fashion photographers, for example, who are not shooting fast-moving subjects. They require other image quality capabilities to capture the sharpest and most pleasing portraits and fashion layouts. The DSLRs with fast, or the fastest, shooting speeds, tend to have the largest buffers. This is where the images are stored before being moved to the data card. The faster an image is processed and placed in the camera's buffer, the more shots you can take within a given amount of time, since there is less time between shots. Having read to this point in this PhotographyTalk guide, you shouldn't be surprised that the more you spend for a DSLR, the better materials and parts are used. That doesn't mean entry-levels, or the lowest priced, DSLRs are cheaply assembled from questionable parts. True, most of the body parts will be plastic, but the well-known manufacturers, Canon, Nikon, Sony, etc., use a good to excellent quality of plastic and mold it to a durable thickness. As you move up the price scale, more parts are made from high quality aluminum alloy and the plastic in other components is of a superior grade. Once you reach a certain quality of DSLR camera, most of them are built with seals and gaskets to retard or eliminate the entry of water, dirt and dust into the camera. Landscape, wildlife and sports photographers need this protection, so their investment in a higher-priced camera returns its value for many years. As previously mentioned, size and weight is another consideration. Having to carry a bulkier and heavier camera than your compact is all part of becoming a DSLR photographer. One day you'll realize, as many "veteran" DSLR camera owners do, that the many benefits of shooting with a DSLR far outweigh the energy expended to carry it. Don't forget that part of the weight factor is the size of the lens. You should never pack or carry a DSLR without a lens attached (unless the camera is protected by an appropriate wrap for long-term storage). If you're actively shooting, then you'll be bearing the weight of both the camera and lens. The Canon EOS Rebel T4i, introduced during 2012, weighs 20.3 oz. (575g), or approximately 1¼ pounds. Attach the small, standard kit lens, 18–55mm, and you've added another half-pound. If you want telephoto power, then you might also shoot with the Canon EF 70–300mm lens…and it weighs more than the Rebel T4i camera body! At 22.2 oz. (630g), the camera/lens combination is now 2-2/3 pounds. You might be thankful that you don't have professional photography aspirations, as the professional-quality Canon EOS 5D Mark III DSLR weighs 30.3 oz. (860g), or almost 2 pounds. An excellent pro lens to combine with the 5D Mark III is the Canon EF 70–300mm f/2.8L lens. It weighs 52.6 oz. (1,490g), meaning the professional shooting with this set-up is carrying approximately 5¼ pounds. LCD screen technology for DSLR cameras has advanced quickly, so large 3.0-inch screens are almost standard and the pictures are bright and with greater resolution. The one feature of the SLR camera that has made so many photographers happy since 1959 is that you view and compose a photo through the same lens that gathers the light and strikes the sensor (exposes the film). Live View is an important feature that is found on virtually all DSLR cameras, including entry-level models. Live View allows you to view and compose a photo through the LCD display on the back of the camera body instead of positioning your eye close to the viewfinder. For Live View to work, the mirror must flip up to allow you to see your scene or subject through the lens on the LCD screen. Because the mirror must then return to its operational position to record the photo, a time lag occurs that makes the shooting process slower. The Live View function may be relatively slow, but it is highly beneficial in a number of shooting situations. For example, many DSLRs have the capability to enlarge a portion of the composition displayed on the LCD screen. This is a critical tool for portrait or macro photographers, for example. They are able to check focus on a close-up detail to insure their images are truly sharp. As you become more familiar with your DSLR camera, you'll discover that a high viewing angle, with the camera above your head, or an angle so low that you must lie on the ground, are very creative options. Framing with the LCD screen is much easier under these circumstances. You may also find it useful to consider a DSLR with a flip or articulated screen that provide a greater range of angles from which to shoot, especially if you must position the camera, because you can't stand behind it. Many of the LCD screens on the better DSLRs have brightness control, making it easier to see detail when the ambient light is bright. Refer to the following chart that compares the LCD screens and Live View functions on some selected DSLR cameras. One of the high-value features of owning a DSLR camera is that you will actually have two cameras in one body: a still camera and a video camera. When this guide was initially written (August 2012), all entry-level DSLRs (and most of the mid-level and professional-level cameras) from the Big Three manufacturers—Canon, Nikon and Sony—included 1080 Full-HD video functionality, some with stereo sound recording. For a number of years, professional photographers were less than enthusiastic about having video recording capabilities in their high-end cameras, since most of them came from a still photography background or tradition. A number of older, high-end camera models do not offer video, such as the Nikon D3X, but virtually all of the newer models do: Canon EOS-1D X, Nikon D4 and the new Sony a99. Professional photographers are beginning to realize that they must become multi-media creators, offering clients both still photography and video services…and both can be shot with the same camera. This trend has accelerated even faster as more major motion pictures are being shot with professional DSLRs. As video systems in DSLRs become more important for all levels of photographers, the camera manufacturers are expanding the capabilities of those systems, with Live View and autofocus engaged during recording, basic editing and the option of recording still photos while you're also shooting video. Even the lowest-priced DSLR cameras have more features and capabilities than can be explained fully in this PhotographyTalk DSLR Camera Buying Guide. Many DSLRs, especially for the beginner and enthusiast, have comprehensive how-to guides and a full complement of picture modes and effects to expand your creativity. Exposure control, viewfinder, white balance, flash compatibility and many other systems and functions are clearly and fully listed on the manufacturers' Web sites for each of their camera models. Manufacturers are starting to build GPS units and Wi-Fi functionality into their DSLR camera, or providing the interfaces to attach optional units. 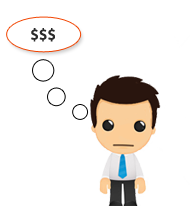 Manufacturers' Suggested Retail Prices (MSRP) are listed only as suggestions. Actual prices are set by dealers and are subject to change at any time. You'll spend your money much more wisely and enjoy many years pursuing your passion for photography when you thoroughly educate yourself about the different models. PhotographyTalk strongly encourages you to access the following resources before making your final decision. PhotographyTalk is an excellent place to start your decision-making process to buy a DSLR camera. Become a member, and then use the Forum to ask experienced DSLR photographers their opinions and advice about what camera to buy. Communicate with photographers who already shoot the genres you plan to capture with your new DSLR. New Sony Alpha ALT-a99 DSLR: The Battle Lines Are Drawn! To Upgrade or Not Upgrade from a Nikon D3s to a New Nikon D4? That is the Question! Many photographic educational institutions offer online courses and workshops that will help you learn how to use your DSLR camera. 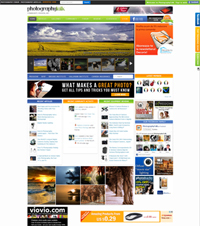 MyPhotoSchool.com – Getting the Best from your Digital Camera. 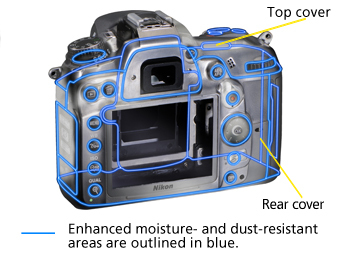 The Picture Perfect School of Photography – Understanding Exposure. Chicago Photography Academy – Digital 101 DVD Set (Classroom Sessions). The New York Institute of Photography, Chicago Photography Academy and Brooks Institute in Santa Barbara, California also offer on-campus classroom courses. 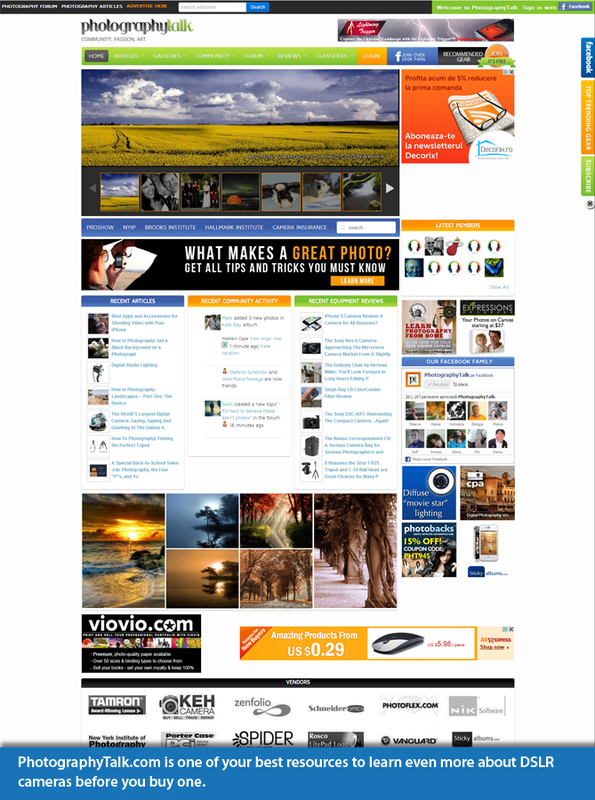 The Web sites of the major DSLR camera manufacturers are also filled with important information. All the specifications of each camera model are listed and you can download and read the owner's manual prior to making a purchase. Contact the camera club in your community to talk with members about their DSLRs cameras. Some may even be willing to take you with them during a photo shoot and invite you to take a few shots. Talk with your photo buddies, who may already be shooting with a DSLR. Another method to help you make a wise decision about buying a DSLR camera is to rent a different model during one weekend a month. Click on the following links to check on current prices for DSLR camera models and to order the one that is right for you. Buying a DSLR camera, and photographing the world around you with it, can be one of the greatest adventures of your life. You'll own quality photography equipment and have many opportunities to learn the skills to enjoy and achieve a new level of creativity. Take the time to read and study this PhotographyTalk DSLR Camera Buying Guide and additional information from other sources, so you spend your money wisely to buy the right camera for you today, and tomorrow.